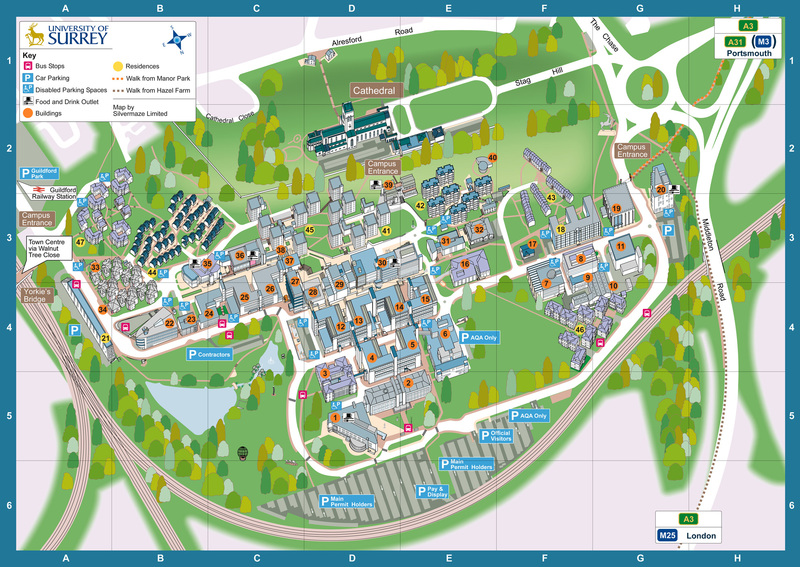 Sometimes a standard ‘2D’ map just isn’t enough to navigate a confusing complex of closely knit buildings, walkways, steps and slopes with wheel chair accesssuch as a University Campus. This is particular so if considering the 8 second rule. 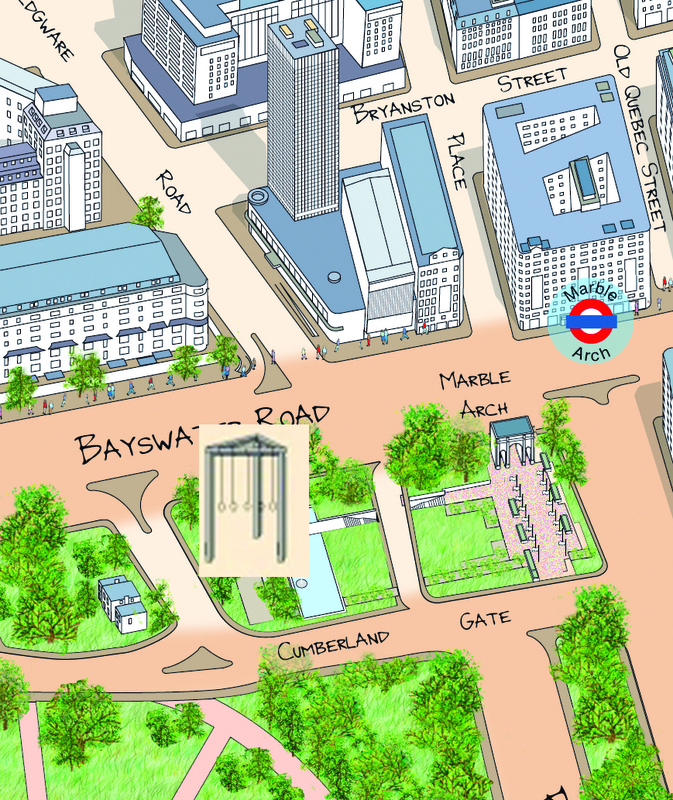 “The maps produced for us of these complex areas (Canary Wharf and Heathrow) by Silvermaze are now the definitive information source for these complex areas.” Steve McNamara – Licenced Taxi Driver’s Association. The University of Surrey built in the sixties and continually expanded since then has become a warren of alleys and overhead walkways. The university has commissioned many maps over time but visitors still got lost. Before printing the map in the Little Book format it was tested using first time visitors at an University open day. The trial was completely successful as was the reaction to it when published in the Little Book format. In fact, the success was such that the University commissioned a subsequent map in the same style of their neighbouring campus. These University maps together with the Taxi Driver’s maps can be seen in our Mapping Gallery. 60,000 people hung in a carnival atmosphere at Tyburn between 1571 and 1783. Death until later times was caused by strangulation so friends and relatives often pulled the victims by their feet to hasten their demise.